Gayle is on a roll with photo challenges. 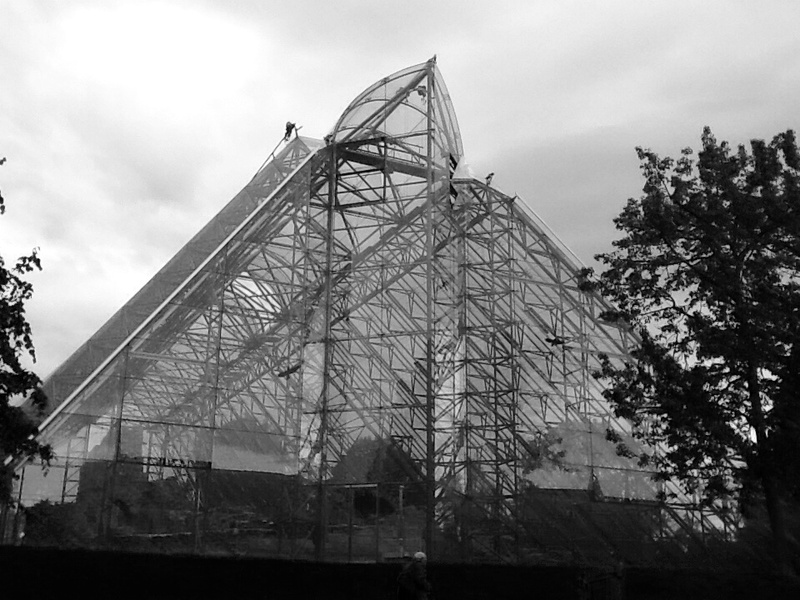 Here is our contribution to Jennifer’s One-Word Photo Challenge. 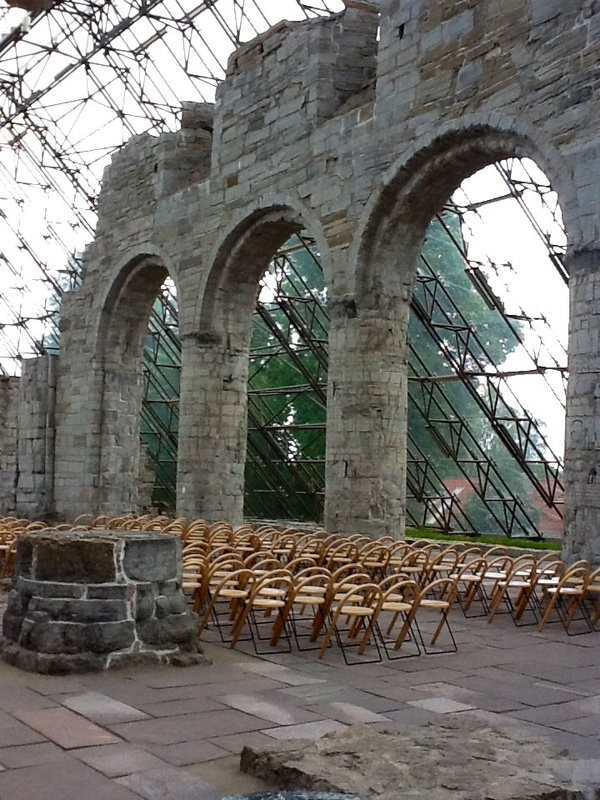 As in the previous blogged photo challenge, Gayle immediately thought of Norway, but this time the very creative encasing of a ruined medieval cathedral in a new steel and glass structure to protect it from the elements. 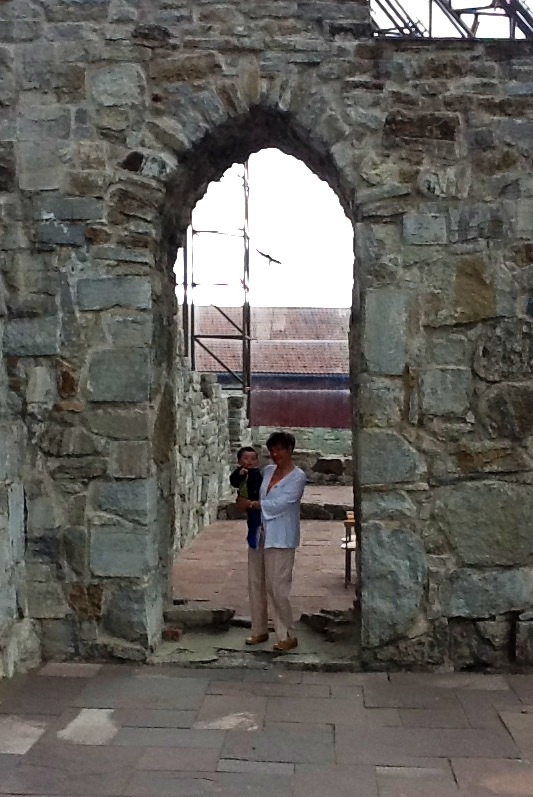 In 2012 she toured the Cathedral in Hamar, Norway guided by her son-in-law Jørgen and accompanied by her then-13-month-old grandson, Gustav Sebastian. 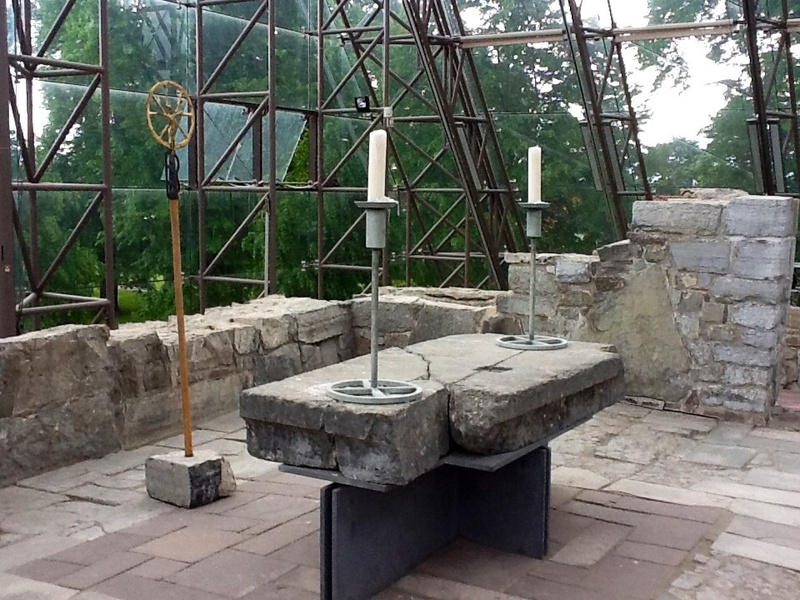 The cathedral was originally built 1152-1200, demolished in 1567 through a siege by a Swedish Army and subsequent fire during the Northern Seven Years’ War and centuries later was enclosed in this modern protective structure designed by architect, Kjell Lund, completed in 1998. 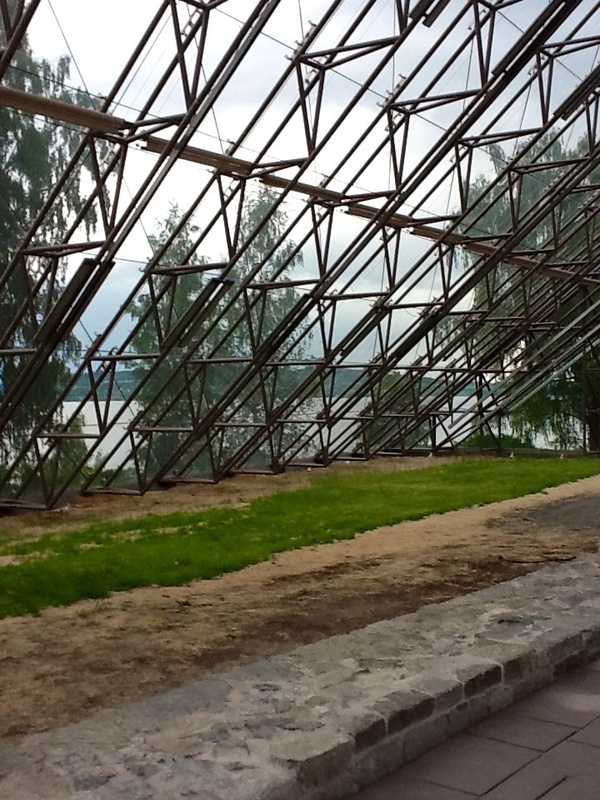 Besides being part of the very impressive Hamar Museum on the shores of Lake Mjösa, the structure now provides excellent acoustics for special religious services and for concerts. 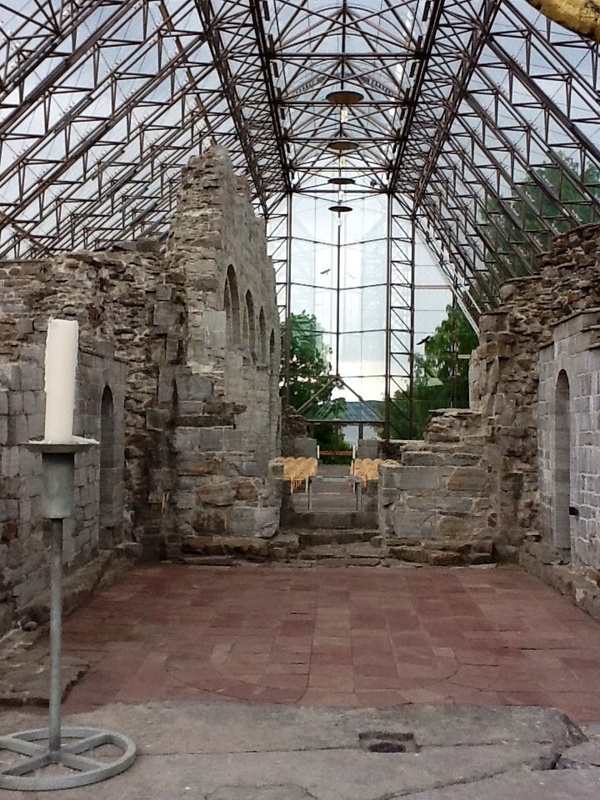 Below are a few more photos we took during our tour of the cathedral, including that of a drawing of the cathedral before it was destroyed. 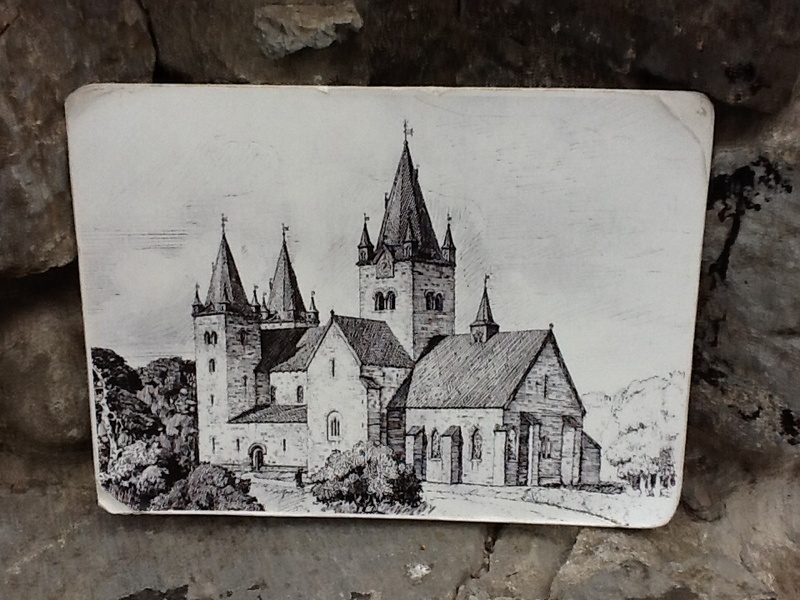 This entry was posted in Life, Norwegian theme, Photography challenge and tagged Architecture, children, Churches/cathedrals, family, Norway, One-word photo challenge. Bookmark the permalink. Do you have any? Kindly let me subscribe. You should find a box marked “follow” under our theme picture. Please click on that and you should have a link set up to receive an email notification whenever we post a new blogpost. If this does not work for you, please comment again and we’ll see what we can do to fix it. These are all so very interesting. The first one is beautiful. 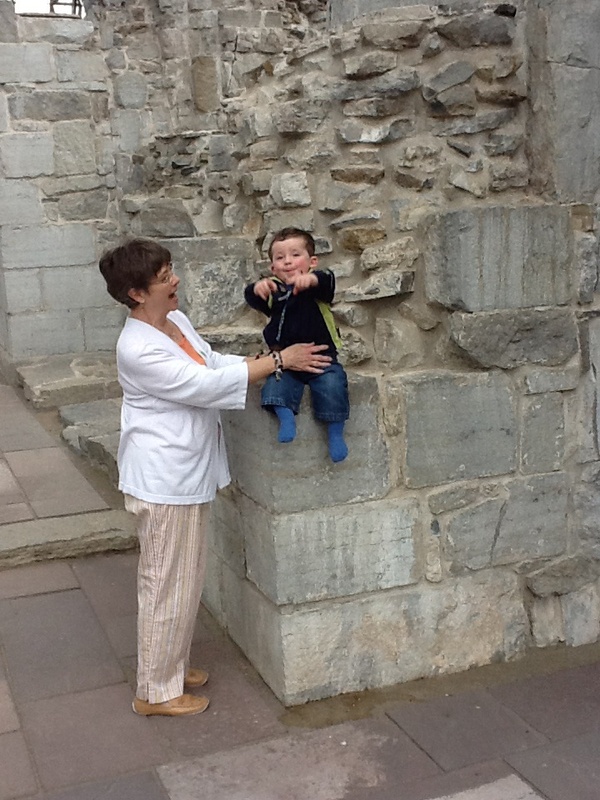 But of course I love the photo with your grandson sitting on the wall. Too cute. Thanks so much for sharing these. I love Medieval history and I’d like to check out Norway someday!